Now this is what I call having a worthy goal! 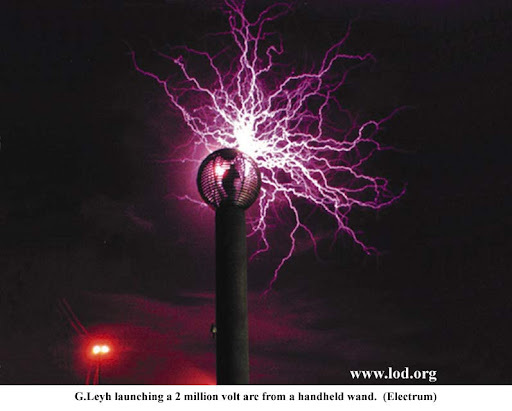 ... we plan to use two 10-story high Tesla Coils---the largest ever built. At full output power [around four million watts] the coil towers will fill an area the size of a football field with a continuous display of electrical discharges. 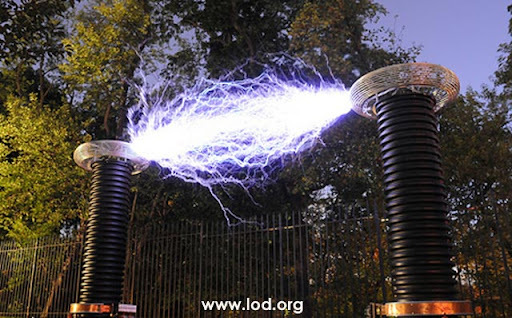 By carefully adjusting the drive voltage [up to 14 million volts] and the spacing of the towers, we intend to explore this mysterious region where normal electric arcs transform into lightning. The Electrum Project provided us a rare opportunity to study long electrical discharges up close. Electurm's unusual size allows a person to climb into the high voltage electrode while the sculpture operates at full power. By physically touching the launch point of the discharges with fast current probes, we were able to capture detailed waveforms of discharges up to 50ft in length.